With Ferrophone we present you our darkest and spookiest sample library so far. The sounds of Ferrophone get under your nails, pierce your ears, and give you goosebumps. 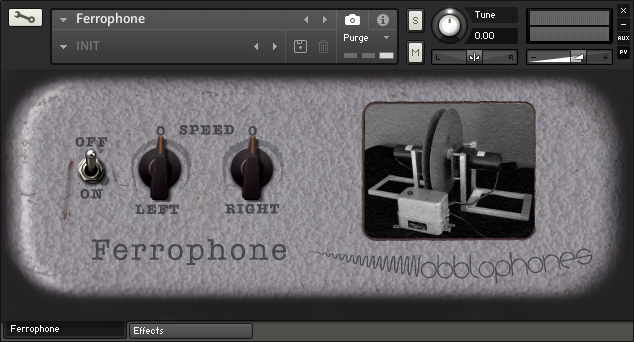 This instrument is a sinister machine that's designed for creating dark and doomy soundscapes and creepy atmosphere. It is a must-have for science fiction or horror-themed projects. 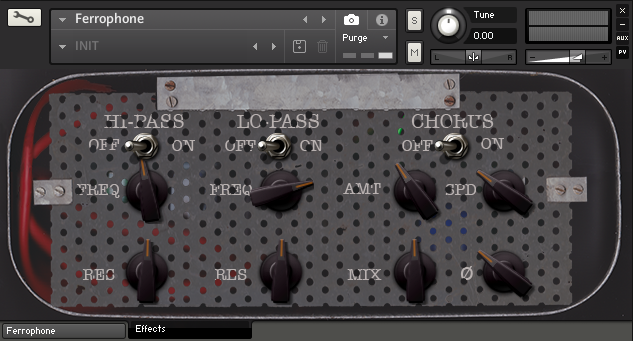 Whether you are a film composer, game composer, sound designer, performer or a passionate musician, if you want to make bodies shiver, and make hairs stand up, Ferrophone is surely a great addition to your collection. The signature sound of the Ferrophone comes from two nails scraping two rotating discs. One moment the Ferrophone can ring very high, quite fragile and small, the next moment it morphs into something so rough and big that it will remind you of a scene on a construction site. At times the sounds can get so dark that one could feel lost on an apocalyptic world that hasn't seen any sunlight in ages. 740 MB of precisely recorded Ferrophone samples. • 11 snapshots optimised for Ferrophone's discs rotated by motors. • 6 snapshots optimised for bowed playing of Ferrophone's discs. All samples recorded at 44.1 kHz, 24-bit. A great library full of metallic horror sound design potential. Installed size: approx. 600 MB (using lossless ncw compression).